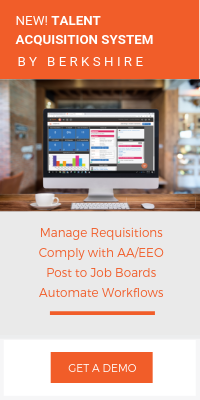 Berkshire’s BALANCEview Blog contains expert advice on affirmative action compliance, applicant tracking processes, and compensation practices. As has been the norm during the Spring months, the OFCCP has reassessed the Annual Vietnam Era Veterans’ Readjustment Assistance Act (VEVRAA) hiring benchmark. For Affirmative Action Plans developed after March 31, 2019, the national benchmark for the percentage of Protected Veterans contractors should seek to hire is 5.9 percent. 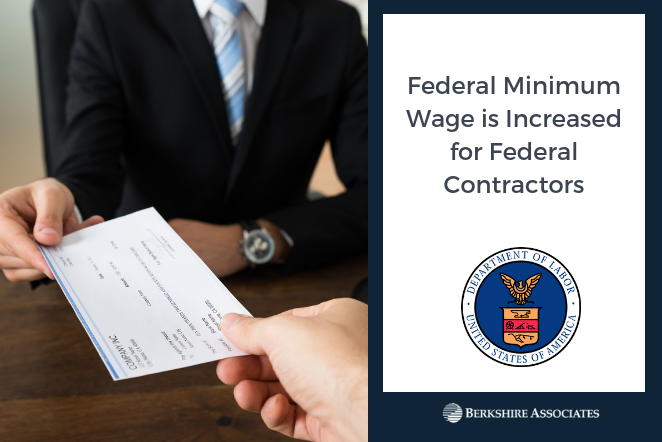 According to a final ruling announced by the Department of Labor in September 2017, the hourly minimum wage for employees performing work on or in connection with federal contracts will be raised as of January 1, 2019. For organizations covered by Executive Order 13658, the new rates will be $10.60/hour (from $10.35/hour) and $7.40/hour (from $7.25/hour) for tipped employees. 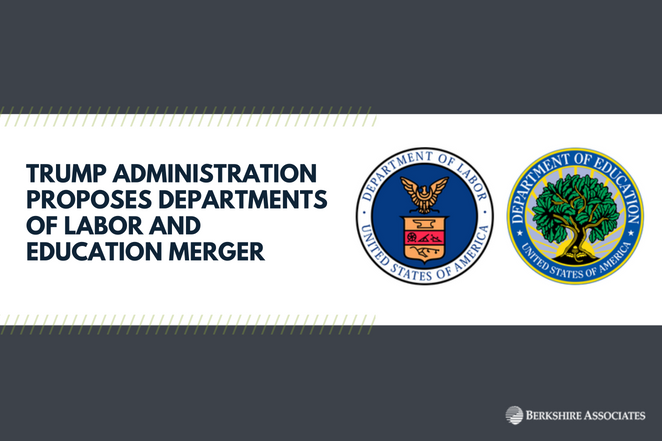 Recently, the Department of Labor (DOL) announced it is creating a new sub-office tasked with helping businesses comply with more than 100 safety, wage, and benefit laws the Department administers. 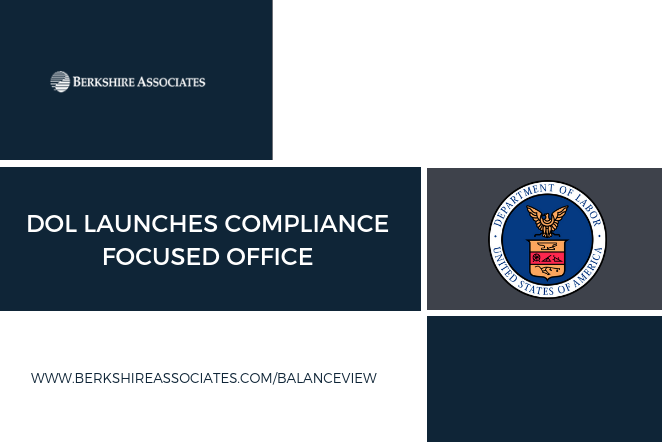 The office will be labeled as the Office of Compliance Initiatives (OCI) and will work with the DOL’s enforcement-focused sub-agencies on compliance outreach activities. In addition, the agency will develop new ways to use data to strengthen compliance and help enforce the law. 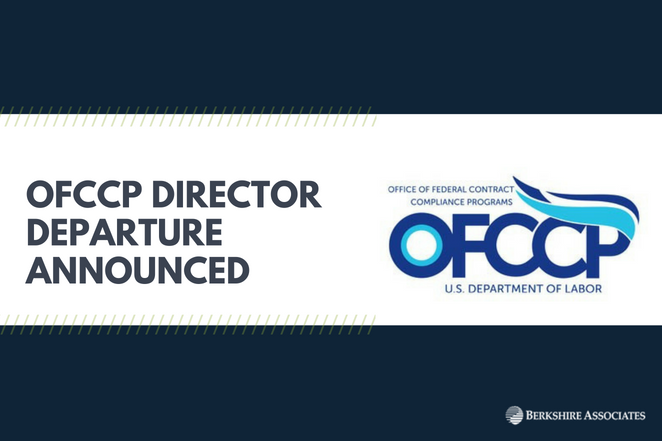 Ondray Harris, Director of the Department of Labor’s Office of Federal Contractor Compliance (OFCCP), will be stepping down from that position effective Friday, July 27, according to Bloomberg News. Mr. Harris was appointed to this position in December 2017. 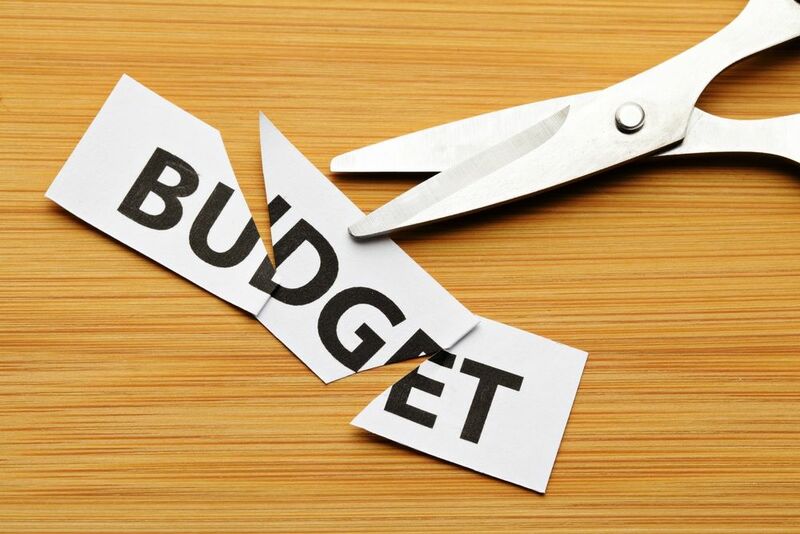 The Trump Administration released its FY 2019 budget proposal on February 12, unveiling further budget cuts for the Department of Labor (DOL) while including support for administration priorities like apprenticeship programs and employer compliance. Under the budget proposal, DOL’s funding would be reduced by $2.6 billion to about $9.4 billion. However, a late-issued addendum stated $1.5 billion would be added back to the DOL’s proposed budget for workforce development and training programs due to the bipartisan budget deal reached by Congress. Although the administration’s budget is merely a proposal and is rarely enacted as proposed, the budget justification provides some interesting insight into DOL’s priorities for the next few years. On January 25, Associate Attorney General Rachel Brand issued a memorandum that limits the use of guidance documents issued by federal agencies in civil enforcement litigation by the Department of Justice (DOJ). 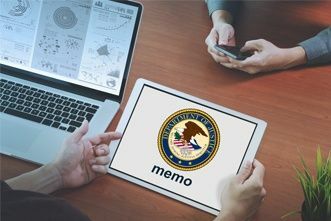 The memorandum, referred to as the Brand Memo, prohibits the agency’s litigators from using guidance documents to establish violations of applicable statutes or regulations. Federal guidance documents are designed to clarify legal information, respond to questions, and inform the public. According to the Brand Memo, they should not be used to “create binding requirements that do not already exist by statute or regulation.” In other words, the documents can’t be used, on their own, to signal non-compliance, nor are they to be used as additional legal obligations or a substitute for rule-making. 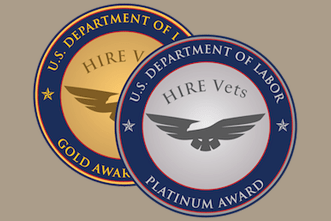 As previously reported, the Veterans Employment and Training Service (VETS) has released details about a new program designed to recognize employers with a strong track record in hiring and retaining Veterans. New Guidance on Interns: Are They Employees? The practice of hiring interns has become widely recognized across different organizations. Determining whether an intern is considered an “employee” under the Fair Labor Standards Act (FLSA) has been a troubling task for most organizations until now. 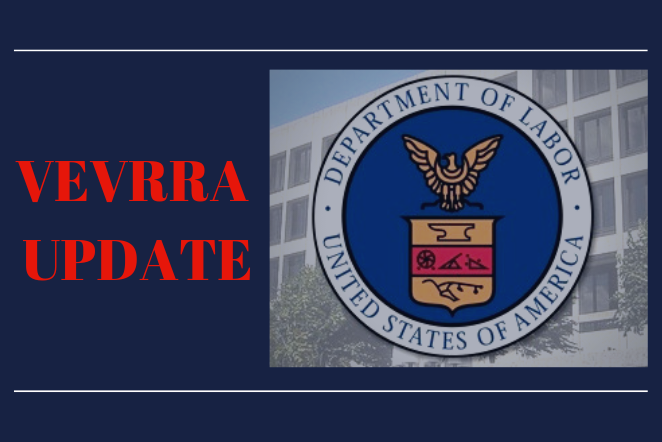 The Department of Labor has recently updated Fact Sheet #71: Internship Programs under the Fair Labor Act, and have adopted a “primary beneficiary test” that has been used by the courts to determine whether an intern (or student) is an employee under FLSA.